Hi, friends! Hope your week is going great! We are into our final month of this year of Wooden challenge. 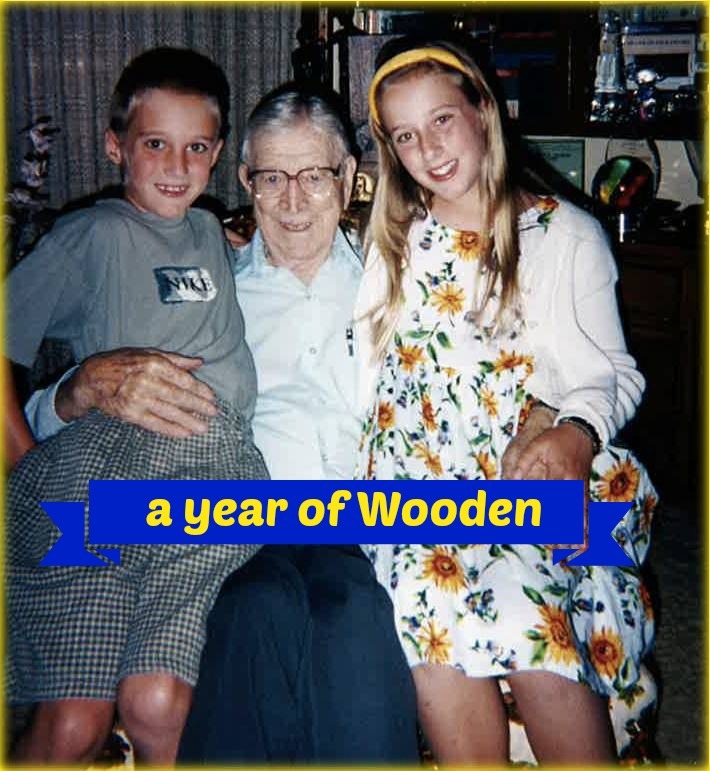 For December, we’re focusing on my favorite item of Coach John Wooden’s 7-Point Creed: “Make each day your masterpiece.” In other words, we’re tying together all that we’ve learned and all the ways we’ve grown through the past eleven months! December: Make each day your masterpiece. I believe the foundation of “making each day a masterpiece” is having a true awareness of how you spend your day. In that spirit, last week’s challenge was to keep an activity log for one or two or three days about how you spend your time — every minute of it! The goal of this was to create an honest assessment of how you spend your days — which is, in turn, how you spend your life. However, looking at my detailed daily run-down, I saw there in very clear letters something that I already knew about myself, but didn’t really want to face — I try to multi-task too much! Anyone else have this problem? I know productivity experts warn against multitasking, but for some reason I still chase that “busy busy busy” feeling. And what happens? I’m rushed and burned out and empty, feeling like I’ve gotten nothing done all day. A lot of this is due to checking email throughout the day — yet my inbox still feels overflowing and unmanageable. Something needs to change! This week’s challenge is to take something you didn’t like about how you spend your day, and fix it. Maybe you feel rushed every morning getting ready for work, and a simple change of waking up ten minutes earlier or not hitting snooze will change the pace of your mornings entirely. Or perhaps you’re always saying you want to read more, but you tend to spend evenings watching TV just because it’s on — that could change if this week, you make a conscious choice to turn off the TV and read in bed for half an hour before falling asleep each night. I’m eager to hear how this week goes for you! And remember, this isn’t about overhauling your entire schedule in one week. We’re all about the small, little-by-little, day-by-day changes here. Pick one small thing to change, do it every day, and see how you like it. We’ll check in again next week! What is something you disliked about your daily schedule? How might you make a small change to create a different effect?